Every detail has been carefully selected in this beautifully designed ranch-style home. An inviting kitchen—flanked by a great room and dining area—boasts dark wood cabinetry, stainless-steel appliances, stainless-steel pendant lighting, quartz countertops and white subway tile backsplash. The great room features an adjacent tech center and center-meet sliding doors, providing access to a relaxing covered patio. Separated from two additional bedrooms for added privacy, the master suite showcases a private bath and generous walk-in closet. 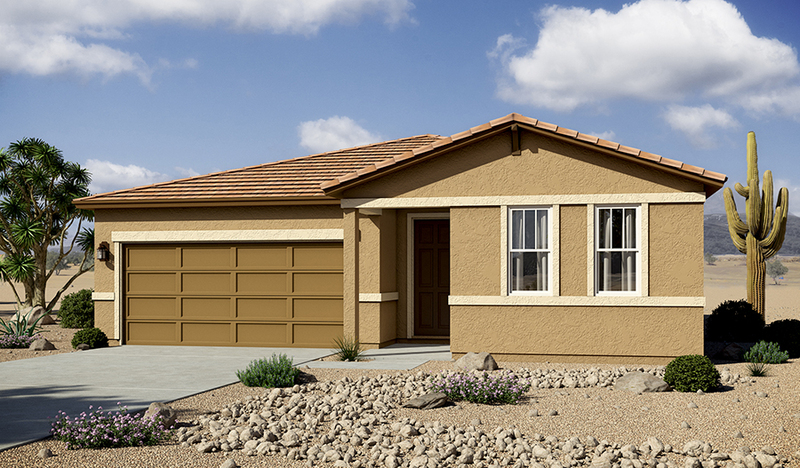 This model also includes plank-style ceramic tile flooring and a convenient keydrop by the garage!